Da ormai diversi anni mi occupo di ricerca in psicologia clinica e psicoterapia cognitivo-comportamentale. Il mio interesse è quello di migliorare la comprensione dei disturbi psicologici e l’efficacia della psicoterapia. Questo interesse mi ha permesso di confrontarmi con centri clinici e colleghi internazionali grazie ai quali ho potuto approfondire le mie ipotesi e ai quali devo un sentito ringraziamento. 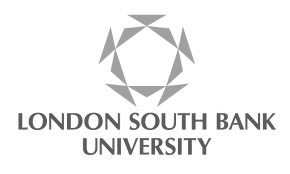 Attualmente la mia attività di ricercatore in psicoterapia si svolge tra il centro di formazione e ricerca Studi Cognitivi, la Sigmund Freud University e la London South Bank University. Di seguito potete trovare l’elenco delle mie pubblicazioni internazionali. Per ulteriori informazioni sui miei progetti scientifici non esitate a contattarmi o a consultare il mio profilo pubblico su google scholar. Caselli, G., Martino, F., Spada, M.M., Wells, A. (2018). Metacognitive Therapy for Alcohol Use Disorder: A Systematic Case Series. Frontiers in Psychology, pubisched on-line 18th December 2018. Borlimi, R., Benetka, G., Brighetti, G., Caselli, G., Caletti, E., Redaelli, C.A., Ruggiero, G.M., Sarracino, D., Sassaroli, S. (2018). An investigation of sequencing effects in combining cognitive questioning and mindful acceptance. Journal of Rational-Emotive & Cognitive-Behavior Therapy, 1-15, published on-line 06th December, 2018. Mansueto, G., Caselli, G., Ruggiero, G.M., Sassaroli, S. (2018). Metacognitive beliefs and childhood adversities: an overview of the literature. Psychology, Health & Medicine, 1-9, published on-line 21th November 2018. Frings, D., Eskisan, G., Caselli, G., Albery, I.P., Moss, A.C., Spada, M.M. (2018). The effects of food craving and desire thinking on states of motivational challenge and threat and their physiological indeces. Eating and Weight Disorders, published ahead of print, 1st June 2018. Marino, C, Mazzieri, E., Caselli, G., Vieno, A., Spada, M.M. (2018). Motives to use Facebook and problematic Facebook use in adolescents. Journal of Behavioral Addictions, 7(2), 276-283. Ruggiero, G.M., Spada, M.M., Caselli, G., Sassaroli, S. (2018). A Historical and Theoretical Review of Cognitive Behavioral Therapies: From Structural Self-Knowledge to Functional Processes. Journal of Rational-Emotive & Cognitive-Behavior Therapy, published ahead of print on 13th April 2018. Ruggiero, G.M., Caselli, G., Sassaroli, S. (2018). Secularising the therapeutic relationship in cognitive behavioural therapy: Shared case formulation. Psicoterapia Cognitiva e Comportamentale, 24(2), 203-222. Compare, A., Brugnera, A., Spada, M.M., Zarbo, C., Tasca, G.A., Sassaroli, S., Caselli, G., Ruggiero, G.M., Wittstein, I. (2018). The Role of Emotional Competence in Takotsubo Cardiomyopathy. Psychosomatic Medicine 80, 377-384. Alma, L., Spada, M. M, Fernie, B. A, Yilmaz-Samanci, A. E., Caselli, G., & Nikcevic, A. V (2018). Metacognitions in smoking: Evidence from a crosscultural validation of the metacognitions about smoking questionnaire in a Turkish sample. Psychiatry Research, 259, 160-168..
Caselli, G., Fernie, B., Canfora, F., Mascolo, C., Ferrari, A., Antonioni, M., Giustina, L., Donato, G., Marcotriggiani, A., Bertani, A., Altieri, A., Pellegrini, E., Spada, M.M. (2018). The Metacognitions about Gambling Questionnaire: Development and psychometric properties. Psichiatry Research, 261, 367-374. Martino, F., Caselli, G., Di Tommaso, J., Sassaroli, S., Spada, M.M., Valenti, B., Berardi, D., Sasdelli, A., Menchetti, M. (2018). Anger and depressive rumination as predictors of dysregulated behaviours in borderline personality disorder. Clinical Psychology & Psychotherapy (25), 188-194. Ruggiero, G.M., Caselli, G., Redaelli, C.A., Sassaroli, S. (2017). Procedure e protocollo di terapia LIBET seconda parte: fasi del protocollo e caso clinic Antonia A. Psicoterapia Cognitiva e Comportamentale, 23 (3), 331-344. Chakroun-Baggioni, N., Corman, M., Spada, M.M., Caselli, G., Gierski, F. (2017). Desire thinking as a confounder in the relationship between mindfulness and craving: Evidence from cross-cultural validation of the Desire Thinking Questionnaire. Psychiatry Research, 256, 188-193. Nikcevic, A.V., Alma, L., Marino, C., Kolubinski, D., Ylmaz-Samanci, A.E., Caselli, G., Spada, M.M., (2017). Modelling the contribution of negative affect, outcome expectancies and metacognitions to cigarette use and nicotine dependence. Addictive Behaviors, 74, 82-89. Sassaroli, S., Caselli, G., Redaelli, C.A., Ruggiero, G.M. (2017). Procedure e protocollo di terapia LIBET prima parte: Le procedure ABC-LIBET, laddering e disputing. Psicoterapia Cognitiva e Comportamentale, 23(1), 73-92. Caselli, G., Offredi, A., Martino, F., Varalli, D., Ruggiero, G.M., Sassaroli, S., Spada, M.M., Wells, A. (2017). Metacognitive beliefs and rumination as predictors of anger: A prospective study, Aggressive Behaviors 43(5), 421-429. Ruggiero, G.M., Bassanini, A., Benzi, M.C., Boccalari, F., Caletti, E., Caselli, G., Di Tucci, A., Fiore, F., Ibrahim, R., Marsero, S., Moioli, E., Ponzio, E., Sapuppo, W., Sarracino, D., Telesca, M., Zizak, S., Sassaroli, S. (2017). Irrational and Metacognitive Beliefs mediate the relationship between content beliefs and GAD symptoms: a study on normal population. Journal of Rational-Emotive and Cognitive-Behaviour Therapy, 35(3), 240-253. Martino, F., Caselli, G., Felicetti, F., Rampioni, M., Romanelli, P., Troiani, L., Sassaroli, S., Albery, I.P., Spada, M.M. (2017). Desire thinking as a predictor of craving and binge drinking: a longitudinal study Addictive Behaviors, 64, 118-122. Spada, M.M., Caselli, G. (2017). The Metacognitions about Online Gaming Scale: Development and Psychometric properties. Addictive Behaviours, 64, 281-286. Caselli, G., Gemelli, A., Spada, M.M. (2017). The experimental manipulation of desire thinking in alcohol use disorder. Clinical Psychology and Psychotherapy, 24(2), 569-573. Ruggiero, G.M., Sarracino, D., McMahon, J., Caselli, G., Sassaroli, S. (2017). Practicing REBT in Italy: Cultural Aspects. Journal of Rational-Emotive & Cognitive-Behavior Therapy, 35(2), 125-135. Fernie, B. A., Wright, T., Caselli, G., Nikčević, A. V., & Spada, M. M. (2017). Metacognitions as Mediators of Gender Identity‐related Anxiety. Clinical Psychology & Psychotherapy, 24(1), 264-268. Offredi, A., Caselli, G., Manfredi, C., Liuzzo, P., Rovetto, F., Ruggiero, G.M., Sassaroli S., (2016). Effects of anger rumination on different scenarios of anger: an experimental investigation. American Journal of Psychology, 129(4), 381-390. Caselli, G., Spada, M.M. (2016). Desire Thinking: A new target for treatment in addictive behaviours? International Journal of Cognitive Therapy, 9(49), 344-355. Albery, I.P., Wilcockson, T., Frings, D., Moss, A.C., Caselli, G., Spada, M.M. (2016). Examining the relationship between selective attentional bias for food- and body-related stimuli and purging behaviour in bulimia nervosa. Appetite, 107, 208-212. Marino, C., Vieno, A., Moss, A.C., Caselli, G., Nikcevic, A.V., Spada, M.M. (2016). Personality, motives and metacognitions as predictors of problematic Facebook Use in university students. Personality and Individual Differences, 101, 70-77. Caselli, G., Gemelli, A., Spada, M.M., Wells, A. (2016). Experimental modification of perspective on thoughts and metacognitive beliefs in alcohol use disorder. Psychiatry Research, 244, 57-61. Boldrini, M. P., Caselli, G. & Spada, M. M. (2016). Post-Traumatic Stress Disorder, problem gambling and metacognition. International Journal of Multidisciplinary Trauma Studies 1, 90-99. Giuri, S., Caselli, G., Manfredi, C., Rebecchi, D., Granata, A., Ruggiero, G.M., Veronese, G. (2016). Cognitive Attentional Syndrome and Metacognitive Beliefs in Male Sexual Dysfunction: An Exploratory Study. American Journal of Men’s Health, ahead of print 8th June 2016. Spada, M.M., Caselli, G., Fernie, B.A., Nikcevic, A. V., Ruggiero, G.M., Boccaletti, F., Dallari, G. and Sassaroli, S. (2016). Metacognitions about desire thinking predict the severity of binge eating in a sample of Italian women. Eating and Weight Disorders, 21(2), 297-304. Sassaroli, S., Caselli, G., Ruggiero, G.M. (2016). Un modello cognitive clinic di accertamento e concettualizzazione del caso: Life themes and plans Implications of biased Beliefs: Elicitation and Treatment (LIBET). Psicoterapia Cognitiva e Comportamentale, 22(2), 183-197. Manfredi, C., Caselli, G., Pescini, F., Rossi, M., Rebecchi, D., Ruggiero, G.M., Sassaroli, S. (2016). Parental criticism, self-criticism and their relation to depressive modd: an exploratory study among a non-clinical population. Research in Psychotherapy: Psychopathology, Process and Outcome, 19, 1-8. Caselli, G., Gemelli, A., Spada, M.M. (2016). The experimental manipulation of desire thinking in alcohol use disorder. Clinical Psychology and Psychotherapy, ahead of print 19th August 2016. Ruggiero, G.M., Sarracino, D., McMahon, J., Caselli, G., Sassaroli, S. (2016). Practicing REBT in Italy: Cultural Aspects. Journal of Rational-Emotive & Cognitive-Behavior Therapy, ahead of print 20 July 2016. Spada, M. M., Gay, H., Nikčevic, A. V., Fernie, B. A., & Caselli, G. (2016). Meta‐cognitive beliefs about worry and pain catastrophising as mediators between neuroticism and pain behaviour. Clinical Psychologist, 20(3), 138-146. Fernie, B.A., McKenzie, A.M., Nikcevic, A.V., Caselli, G., Spada, M.M. (2016). The Contribution of Metacognitions and Attentional Control to Decisional Procrastination. Journal of Rational-Emotive and Cognitive Behaviour Therapy, 34(1), 1-13. Scarinci, A., Caselli, G., Paparusso, M., Amabili, M., Felicetti, F., Silvestrini, L., Mezzaluna, C., Valenti, V., Cognigni, L., Torrieri, M., Troiani, M., Ceci, G. (2015). Studio di validazione della scala di valutazione del benessere (SVB). Quaderni di Psicoterapia, 36, 41-58. Martino, F., Caselli, G., Berardi, D., Fiore, F., Marino, E., Menchetti, M., Prunetti, E., Ruggiero, G.M., Sasdelli, A., Selby, E.A., Sassaroli, S. (2015). Anger Rumination and aggressive behaviour in Borderline Personality Disorder. Personality and Mental Health, 9(4), 277-287. Sassaroli, S., Centorame, F., Caselli, G., Favaretto, E., Fiore, F., Gallucci, M., Sarracino, D., Ruggiero, G.M., Spada M.M., Rapee, R.M. (2015). Anxiety control and metacognitive beliefs mediate the relatioship between inflated responsibility and obsessive compulsive symptoms. Psychiatry Research, 30(3), 560-564. Spada, M.M., Giustina, L., Rolandi, S., Fernie, B.A. and Caselli, G. (2015). Profiling Metacognition in Gambling Disorder. Behavioural and Cognitive Psychotherapy, 43(5), 614-622. Spada, M.M., Caselli, G., Fernie, B.A., Manfredi, C., Boccaletti, F., Dallari, G., Gandini, F., Pinna, E., Ruggiero, G.M., Sassaroli, S. (2015). Desire thinking: A risk factor for binge drinking? Eating Behaviors. 18, 48-53. Caselli, G., Manfredi, C., Ferraris, A., Vinciullo, F., Spada, M.M. (2015). Desire thinking as a mediator of the relationship between novelty seeking and craving. Addictive Behaviours Reports, 1, 2-6. Caselli, G., Canfora, F., Ruggiero, G.M., Sassaroli, S., Albery, I.P. and Spada, M.M. (2015). Desire thinking mediates the relationship between emotional intolerance and problem drinking. International Journal of Mental Health and Addiction, 13, 185-193. Nikčević, A.V., Caselli, G., Wells, A., Spada, M.M. (2015). The Metacognition about Smoking Questionnaire: Development and psychometric properties. Addictive Behaviours, 44, 102-107. Caselli, G. and Spada, M.M. (2015). Desire Thinking: what is it and what drives it? Addictive Behaviours, 44, 71-79. Nikčević, A.V., Caselli, G., Green, D., Spada, M.M. (2014). Negative recurrent thinking a a moderator of the relatioship between perceived stress and depressive symptoms, Journal of Rational-Emotive & Cognitive Behavior Therapy, 32, 248-256. Spada, M.M., Caselli, G., Slaifer, M., Nikcevic, A.V., Sassaroli, S. (2014) Desire Thinking as a Predictor of Problematic Internet Use. Social Science Computer Review, 32(4), 474-483. Ruggiero, G.M., Ammendola, E., Caselli, G., & Sassaroli, S. (2014). REBT in Italy: Dissemination and Integration with Constructivism and Metacognition. Journal of Rational-Emotive & Cognitive Behavior Therapy, 32(3), 183-197. Caselli, G., Decsei-Radu, A., Fiore F., Manfredi C., Querci, S., Sgambati, S., Rebecchi, D., Ruggiero G.M., Sassaroli, S. (2014). Self-Discrepancy monitoring and its impact on negative mood: an experimental investigation. Behavioral and Cognitive Psychotherapy, 42(4), 464-478. Martino, F. Caselli, G., Ruggiero, G.M., Sassaroli, S. (2013). Collera e Ruminazione Mentale. Psicoterapia Cognitiva e Comportamentale, 19(3), 341-354. Caselli, G., Gemelli, A., Querci, S., Lugli, A.M., Canfora, F., Annovi, C., Rebecchi, D., Ruggiero, G.M., Sassaroli, S., Spada, M.M., Watkins, E.R. (2013). The effect of rumination on craving across the continuum of drinking behaviour. Addictive Behaviours, 38, 2879-2883. Spada, M. M., Caselli, G. & Wells, A. (2013). A triphasic metacognitive formulation of problem drinking. Clinical Psychology and Psychotherapy, 20(6), 494-500. Caselli, G., Ferla, M., Mezzaluna, C., Rovetto, F., & Spada, M.M. (2012). Desire Thinking across the Continuum of Drinking Behavior. European Addiction Research 18(2), 64-69. Caselli, G. & Spada M.M. (2010). Metacognitions about Desire Thinking: A Preliminary Investigation. Behavioural and Cognitive Psychotherapy, 38, 629-637. Caselli, G., Ferretti, C., Leoni, M., Rebecchi, D., Rovetto, F. & Spada M.M. (2010). Rumination as a predictor of drinking behaviour in alcohol abusers: A prospective study. Addiction, 105(6), 1041-48. Caselli, G., Bortolai, C., Leoni, M., Rovetto, F. & Spada M.M. (2010). Aspettative, Credenze Metacognitive e Uso di Alcool. Psicoterapia Cognitiva e Comportamentale 16(1), 25-38. Spada, M.M., Caselli, G., Wells, A. (2009). Metacognitions as a predictor of drinking status and level of alcohol use following CBT in problem drinkers: A prospective study. Behaviour research and Therapy, 47, 882-886. Caselli, G., Bortolai, C., Leoni, M., Rovetto, F. & Spada, M.M. (2008). Rumination in problem drinkers. Addiction research & theory, 16(6), 564-571. Caselli, G., Bortolai, C., Leoni, M., Rovetto, F. (2008).Uso di alcool e credenze metacognitive nel modello della funzione autoregolatoria. 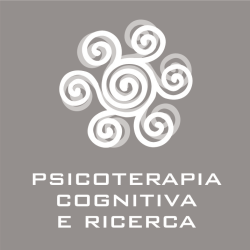 Ricerche in Psicoterapia, 11 (1), 7-18. Caselli, G., Offredi, A. (2018). Nuove prospettive nella terapia del Disturbo da Gioco d’Azzardo: l’approccio metacognitivo. In O. Casciani e O. De Luca, Il trattamento Psicologico e Psicoterapeutico del Disturbo da Gioco d’Azzardo in una prospettiva multidisciplinare. Cuneo: Edizioni Publiedit. pp.373-380. Offredi, A., Caselli, G. (2018). Craving e Disturbo da Gioco d’Azzardo: prospettive teoriche e terapeutiche. In O. Casciani e O. De Luca, Il trattamento Psicologico e Psicoterapeutico del Disturbo da Gioco d’Azzardo in una prospettiva multidisciplinare. Cuneo: Edizioni Publiedit. pp.79-86. Rebecchi, D., Caselli, G., Gemelli, A. (2017). Un contributo alla terapia cognitiva standard: il modello LIBET. In D. Rebecchi e P Vinai (a cura di), Psicoterapia Cognitiva della Coppia. Milano: Raffaello Cortina Editore. pp. 127-140. Caselli, G. (2015). Terapia Metacognitiva. In G. Melli e C. Sica (a cura di). Fondamenti di Psicologia e Psicoterapia Cognitivo Comportamentale. Modelli clinici e tecniche d’intervento. Firenze: Eclipsi. Caselli, G. & Rebecchi, D. (2010). Tristezza. In Apparigliato, M. & Lissandron, S. (a cura di), La cura delle emozioni in terapia cognitiva (pp.127-150). Roma: Alpes. Leoni M., Caselli G. , & Rovetto F. (2008). Valori personali e motivazione al cambiamento della condotta criminale: prospettive di intervento. In Rovetto, F. (a cura di), Psicologia Giuridica: Crimini sessuali e attività peritale , 491-498. Parma: Ed Santa Croce. Caselli G. & Bortolai C. (2007). Alcol e violenza nel contesto familiare. In F.Rovetto e L.Rossi (a cura di) Psicologia Giuridica: Giustizia in famiglia. Parma: Edizioni Santa Croce. Caselli G. , Leoni M., & Rovetto F. (2005) Stress e tutela del testimone. In F. Rovetto (a cura di), Psicologia giuridica: la valutazione del danno , 99-114. Parma: Edizioni Santa Croce. Leoni M., Caselli G. , & Rovetto F. (2005). Dal giudizio al cambiamento: il ruolo del colloquio motivazionale. In F. Rovetto (a cura di), Psicologia giuridica: la valutazione del danno . Parma: edizioni Santa Croce. Caselli, G., Gemelli, A., Spada, M.M., Wells, A. (2016). Efficacia di Detached Mindfulness nella modifica delle credenze metacognitive in pazienti con Disturbo da Uso di Alcool. Relazione a Congresso SPR Italia, Milano. Giuri, S., Caselli, G., Manfredi, C., Rebecchi, D., Granata, A.R., Veronese, G. (2016). Cognitive Attentional Syndrome, and Metacognitive Beliefs in Male Sexual Dysfunctions: an exploratory study. Poster 3th International Conference of Metacognitive Therapy, Milano. Caselli, G., Spada, M.M. (2016). Detached mindfulness versus cue-exposure in alcohol use disorder: A preliminary study of effects on distress and urge to use alcohol. Relazione 3th International Conference of Metacognitive Therapy. Caselli, G., Spada, M.M. (2016). Modelling Metacognitions in Desire Thinking and Craving. Relazione 3th International Conference of Metacognitive Therapy. Caselli, G., (2015). Modelli cognitivi di carving: Il pensiero desiderante. Relazione Congresso Società Italiana Tossicodipendenze Lazio, Roma. Caselli, G., (2015). Pensiero Desiderante e Autocontrollo nelle Dipendenze Patologiche. Relazione. Congresso Associazione Italiana Scienze Cognitive, Roma. Caselli, G., Spada, M.M. (2014). Modello Metacognitivo di Craving e Dipendenze Patologiche. XVII Congresso Società Italiana Terapia Comportamentale e Cognitiva, Genova. Sassaroli, S., Bassanini, A., Redaelli, C.A., Caselli, G., Ruggiero, G.M. (2014). Uno studio pilota su un modello di concettualizzazione del caso clinico: life themes and plans implication of biased beliefs: elicitation and treatment (LIBET). 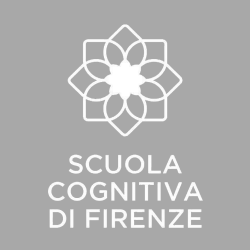 XVII Congresso Società Italiana Terapia Comportamentale e Cognitiva, Genova. Caselli, G., Spada, M.M. (2013). Modello Metacognitivo di Craving e Dipendenze Patologiche. Conferenza Metacognizione e Intervento Clinico, Rimini, 2013. Ruggiero, G.M., Ammendola, E., Caselli, G., Sassaroli S. (2013). REBT in Italy: Dissemination and Integration with Constructivism and Metacognition. Annual Convention APA, Honolulu, 2013. Giustina, L, Caselli G., Donato, G., Marcotriggiani, A., Ghigliani, MG, PIgionatti, M. (2012). Pensiero Desiderante nel Gambling. XVI Congresso Società Italiana Terapia Comportamentale e Cognitiva, Roma. Caselli, G. (2012). Le molte metacognizioni. Modlli teorici e implicazioni cliniche: la Terapia Metacognitiva. XVI Congresso Società Italiana Terapia Comportamentale e Cognitiva, Roma. Nigro, N., Caselli, G. & Spada, MM (2012). Pensiero Desiderante e Dipendenze Patologiche. XVI Congresso Società Italiana Terapia Comportamentale e Cognitiva, Roma. Bassanini, A., Caselli, G., Fiore, F., Ruggiero, G.M., Sassaroli, S., Watkins, E. (2012). Why ‘whys’ seems better than ‘hows’ in depressed people in everyday life. 42th European Association for Behavioural and Cognitive Therapies Congress, Geneva, Switzerland. Ruggiero, G.M., Stapinski, L., Caselli, G., Fiore, F., Gallucci, M., Sassaroli, S., Rapee, R.M. (2012). Beliefs over control and metaworry interact with the effect of intolerance of uncertainty on worry. 42th European Association for Behavioural and Cognitive Therapies Congress, Geneva, Switzerland. Sassaroli, S., Borlimi, R., Caselli, G., Favaretto, E., Giardini, I., Marzocchi, C., Nucifora, V., Ottaviani C., Rebecchi, D., Ruggiero, G.M., Brighetti, G. (2012). Autonomic correlates of worry, distrction and reappraisal during fear induction paradigm. 42th European Association for Behavioural and Cognitive Therapies Congress, Geneva, Switzerland. Caselli, G. (2012). The role of metacognitions in sustaining pathological monitoring and controlling strategies. 42th European Association for Behavioural and Cognitive Therapies Congress, Geneva, Switzerland. Martino, F., Caselli, G., Menchetti, M., Berardi, D. & Sassaroli, S. (2012). Rumination and Behaviour Dysregulation in Borderline Personality Disorder. . 42th European Association for Behavioural and Cognitive Therapies Congress, Geneva, Switzerland. Gemelli, A., Caselli, G., Canfora, F., Lugli, A., Querci, S. (2012). Rumination and craving in problem drinking: an experimental study. 42th European Association for Behavioural and Cognitive Therapies Congress, Geneva, Switzerland. Caselli G & Spada MM (2012). Desire Thinking across the continuum of drinking behavior. Presentazione orale simposio. 42th European Association for Behavioural and Cognitive Therapies Congress, Geneva, Switzerland. Caselli G, Decsei-Radu A, Fiore F, Manfredi C, Querci S, Sgambati S, Rebecchi D, Ruggiero GM, Sassaroli S (2011). Self-discrepancy monitoring and its impact on depressed mood: an experimental investigation. Presentazione orale simposio. 42th European Association for Behavioural and Cognitive Therapies Congress, Geneva, Switzerland. Caselli G, Decsei-Radu A, Fiore F, Manfredi C, Querci S, Sgambati S, Rebecchi D, Ruggiero GM, Sassaroli S (2011). The “yes, but” cognitive response to partial success: an exploratory research. Presentazione orale simposio. 41th European Association for Behavioural and Cognitive Therapies Congress, Reykjavik, Iceland. Caselli G & Spada MM (2011). Metacognitive processes in Desire Thinking. Presentazione orale simposio. 41th European Association for Behavioural and Cognitive Therapies Congress, Reykjavik, Iceland. Caselli G, Pescini F, Rossi M, Ruggiero GM & Sassaroli S (2011). Perceived Parental Criticism, Self-Criticism and Depression. Presentazione orale simposio. 41th European Association for Behavioural and Cognitive Therapies Congress, Reykjavik, Iceland. Caselli, G. (2011). Ruminazione e Pensiero Desiderante nelle Dipendenze Patologiche. Presentazione orale. Convegno: Cocaina e Nuove Droghe. Comprensione e Trattamento Efficace, Milano, Italy. Caselli, G., & Spada, M.M. (2011) Metacognitive processes in desire thinking. First International Conference of Metacognitive Therapy, Manchester, UK. Spada, M.M., Caselli, G. & Wells A. (2011) Metacognitions as a predictor of drinking status and level of alcohol use following CBT in problem drinkers: A prospective study. First International Conference of Metacognitive Therapy, Manchester, UK. Nucifora V., Borlimi, R., Ottaviani C., Marzocchi C., Giardini I., Ruggiero G., Caselli G ., Rebecchi D. Sassaroli S. (2010). Perchè è così difficile farli smettere di rimuginare! Vantaggi a brave termine dell’attività di worry nell’ansia generalizzata. Presentazione orale simposio. 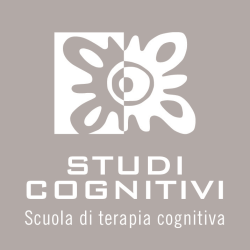 Congresso Società Italiana Terapia Comportamentale e Cognitiva, Milano, Italy. Caselli G , Manfredi M, Rebecchi D., Rovetto F., Ruggiero G.M., Spada, M.M., Sassaroli, S. Temperament, parental bonding and metacognitions as predictors of rumination and worry . Presentazione orale simposio: Metacognitive processes in cognitive psychopathology, European Association for Behavioural and Cognitive Therapies, Milano, Italy. Ruggiero G.M., Caselli G. , Fiore F., Romero-Lauro L., Rapisarda F., Sassaroli S. (2010). The interplay between meta-worry, intolerance of uncertainty and anxiety control in generalized anxiety disorder: an interaction and mediational analysis. Presentazione orale simposio. European Association for Behavioural and Cognitive Therapies, Milano, Italy . Spada M.M., Caselli G., Wells A. (2010). Metacognitions as a Predictor of Drinking Status and Level of Alcohol Use Following CBT in Problem Drinkers: A Prospective Study. Presentazione orale simposio. European Association for Behavioural and Cognitive Therapies, Milano, Italy. Caselli G. (2010). Rumination and Substance Use. Presentazione orale. Convegno: Ruminazione e Depressione, Nuove prospettive di di trattamento efficace , Studi Cognitivi, Modena. Caselli, G. , Leoni, M., Rovetto, F., Spada, MM. (2009). Rumination as a predictor of relapse in alcohol abuse. Presentazione orale, Simposio. 39th Congress of European Association for Behavioural and Cognitive Therapies, Dubrovnik, Croatia. Caselli,G. (2009). Bere per non pensare. L’uso di alcool come strategia di controllo della ruminazione. Presentazione orale, III Forum Ricerca in Psicoterapia , Assisi, Italy. Caselli, G., Bambini, A., Bonati, L., Leoni, M., Michelini, G., Pelosi, A. & Rovetto, F. (2008). Validazione preliminare della versione italiana del Perseverative Thinking Questionnaire (PTQ) in un campione non-clinico. Presentazione, Simposio, VII Congresso sezione nazionale della Society of Psychotherapy and Research , Modena, Italy. Caselli, G., Ruggiero, G.M. & Spada, M.M. (2008). Trattamento focalizzato su craving e ruminazione in disturbi da abuso di alcol. Un caso singolo. Poster, VII Congresso sezione nazionale della Society of Psychotherapy and Research , Modena,Italy. Spada, M.M; Caselli , G., Bortolai, C., Leoni, M. & Rovetto, F. (2008). Metacognizione, ruminazione e uso di alcool: nuove prospettive teoriche e cliniche. Presentazione, Simposio Dipendenze, VII Congresso sezione nazionale della Society of Psychotherapy and Research , Modena, Italy. Caselli, G. , Bortolai, C., Leoni, M., Rovetto, F. & Spada, M.M. (2008). Rumination in problem drinkers . Open Paper, 38th Congress of European Association for Behavioural and Cognitive Therapies, Helsinki , Finland. Caselli, G., Bortolai, C., Leoni, M., Rovetto, F. & Spada, M.M. (2008). Rumination as a predictor of problem drinking. Symposium Paper, 6 th International Congress of Cognitive Psychotherapy , Rome, Italy. Caselli, G., Bortolai, C., Leoni, M. & Rovetto, F. (2008). Metacognitive beliefs and alcohol use. Sym posium Paper, 6 th International Congress of Cognitive Psychotherapy, Rome, Italy. Caselli G. , Bortolai C., Leoni M., Rovetto F. (2007). Aspettative cognitive, credenze metacognitive e abuso di alcool. Invited Symposium Paper, XIV Congresso nazionale AIAMC , Genova, Italy. Caselli G. , Leoni M., Rovetto F. (2007). Costruire l’autonomia nella scuola elementare: percorsi di educazione strutturata per l’incremento delle abilità metacognitive e di autocontrollo del comportamento. Invited Symposium Paper, XIV Congresso Nazionale AIAMC , Genova, Italy. Leoni M., Caselli G. (2007). Costruire l’autonomia nella scuola elementare: percorsi di educazione strutturata per l’incremento delle abilità metacognitive e di autocontrollo del comportamento. 7° Congresso Nazionale Disabilità, Trattamento e Integrazione . Università degli studi di Padova. Caselli G. , Leoni M. (2007). Servizio di psicologia scolastica per primo ciclo: estinguere problemi, rinforzare il benessere usando il modello di Qualità della Vita. 7° Congresso Nazionale Disabilità, Trattamento e Integrazione , Università degli studi di Padova.